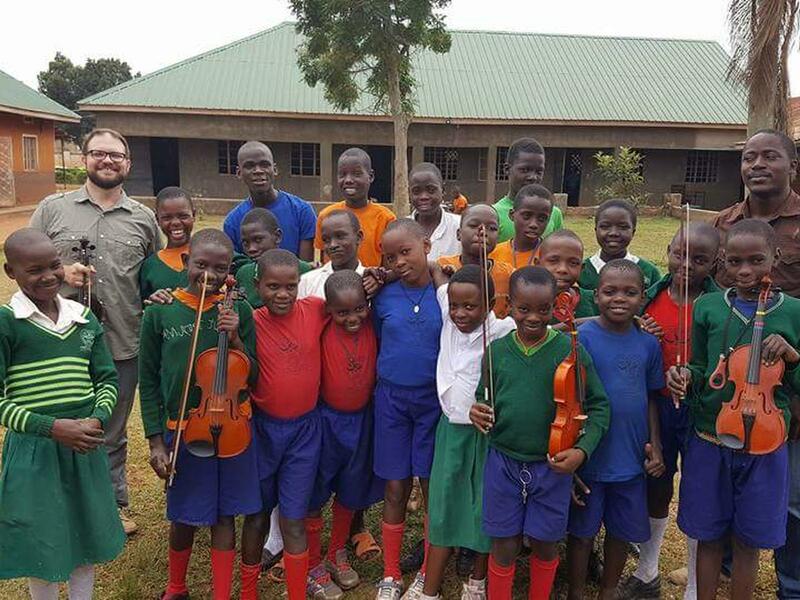 Direct: 300 boys and girls, students of the Saint Mary Kevin school, 200 of which are orphans, who do not have access to a source of drinking water in the school or the orphanage. Indirect: The staff of the orphanage and school (20 teachers, 2 cooks, 4 midwifes, 3 security guards, 3 farm helpers and 15 volunteers that assist the children) who will have access to drinking water, 200 people that live near the orphanage, who will be able to turn to it in search of drinking water and the families of the staff and children that will see how the diseases caused by non-potable water decrease. A total of 1,129 people. 31% of the population of Wakiso lives below the poverty line, most of them make a living from subsistence agriculture, from small businesses or from fishing in Lake Victoria. Over 60% of the population is under 17 years of age and just over 50% of them have completed primary education. 68% of the population in Lweza does not have access to drinking water, and its supply mainly depends on erratic rainfall. 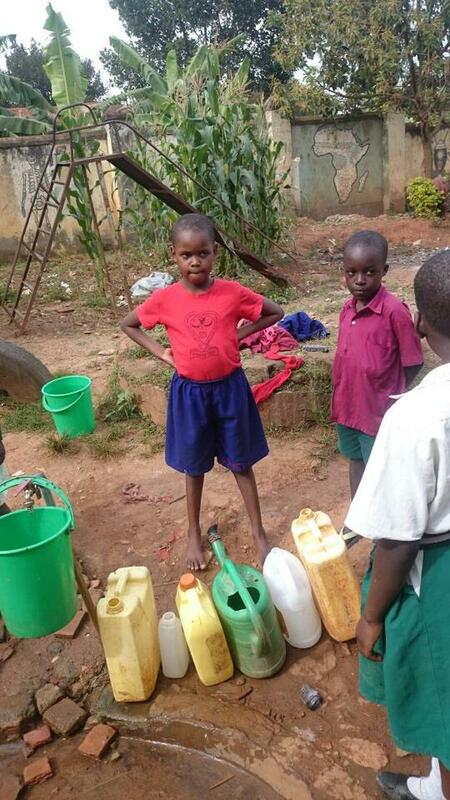 One of the main problems of the Saint Mary Kevin orphanage and school is the lack of drinking water. They used a well in the past, but after several minor repairs, it now requires major repair that cannot be assumed by the orphanage. Moreover, the amount of water that could be obtained from the well was insufficient for all students and the school’s staff. There is a stream near the orphanage, but the access is restricted. The access to the public water network is possible, providing a fee is paid, which is something the orphanage cannot assume. 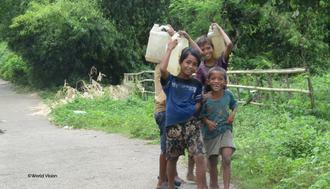 The children suffer diseases caused by the use of non-potable water. Moreover, the time spent by the population, mainly women and girls, in collecting water during the dry season affects their education and other social tasks, apart from the dangers they encounter in their journey. 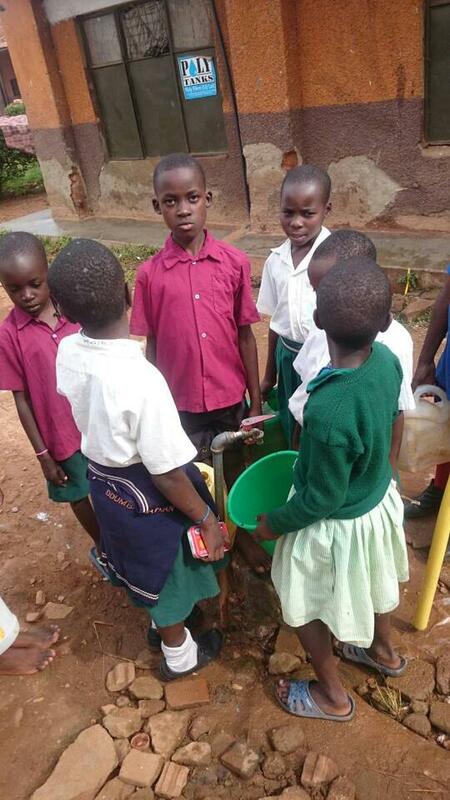 Construction of a water system equipped with a solar-powered pumping system that makes it possible to take advantage of the water from the well and supply the school’s different services through a sustainable and low-cost access to drinking water. The system will consist of three 10m3 tanks that will be installed in elevated structures and will receive water from the well thanks to the solar-powered pump. From there, due to gravity and using the same pumping system, the water will reach 4 fountains that will serve the orphanage, the school, the small clinic, the repair shop and the farm of Saint Mary Kevin. The system will be completed with the collection of rainwater. To do this, the roofs and gutters that are not in good shape will be repaired to guarantee the quality of the collected water. In case the amount and quality of water is not enough, arrangements shall be made to connect the system to the public supply network, negotiating a special fee for the orphanage that could be paid by providing access to water to nearby families. The proposed water system uses solar energy, which is available in abundance in Uganda and is free of charge, as well as the gravity system to provide the fountains with water. Moreover, at least during the rainy season, the water obtained from rainfall will be used to feed the system. 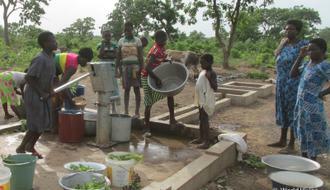 The pump will allow more water to be pumped in less time and with less effort than a hand pump. It has been ensured that the methodology used, the construction of the solar-pumped water system is appropriate to the local context and facilitates the active participation of the beneficiaries in its maintenance. The system will be handed over to the orphanage and school along with the necessary details for its good management and maintenance, and the training of the Saint Mary Kevin staff included in the project will provide them with the necessary training for its sustainability and for the management of the payment of fees for the maintenance if access to water is granted to the nearby families. The beneficiaries of the project are extremely poor. The impact of the project, which will facilitate the access to drinking water during the entire year, will go beyond the mere provision of this life-saving liquid: it will have an impact on health, especially the children’s, reducing the diseases caused by the use of non-drinking water and on nutrition, and therefore the children will be able to make the most of the education they receive. Moreover, the time spent by the population, especially women and girls, in collecting water will be drastically reduced, providing them with the option of studying or carrying out other tasks, without taking into account the reduction of the danger they face when having to travel to fetch water in the dry season.